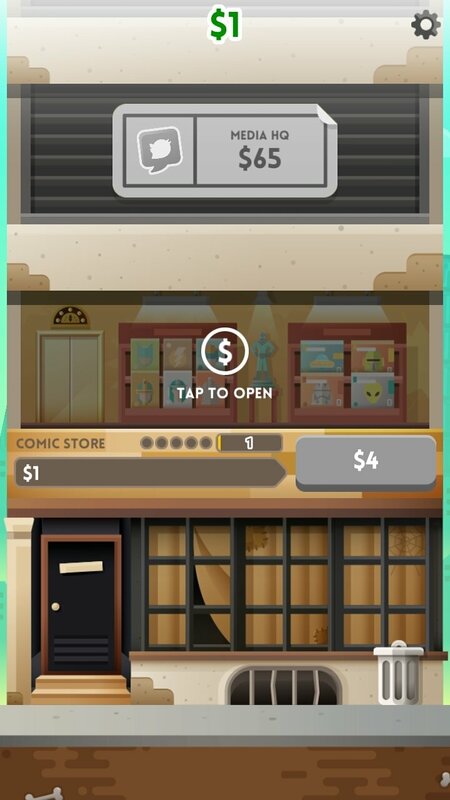 Clicker games have got something to them that regardless of how silly they may seem, they manage to keep us glued to our screens for hours on end. 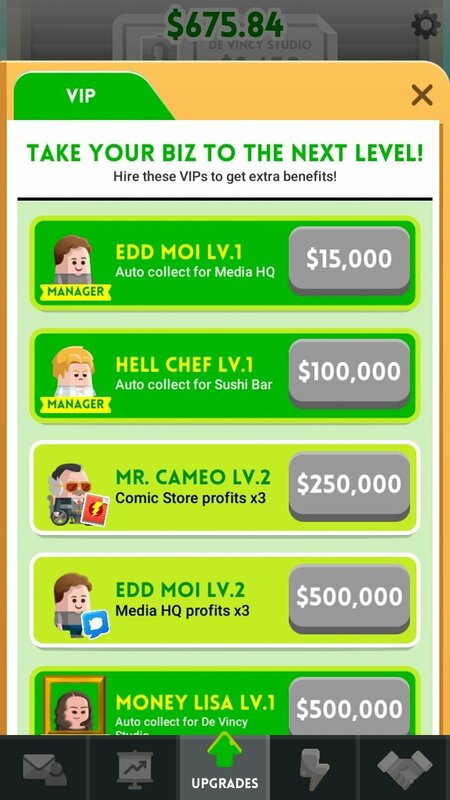 They've been developed revolving around all sorts of plots: managing a mine, partying hard to spend money or becoming a vlogger. 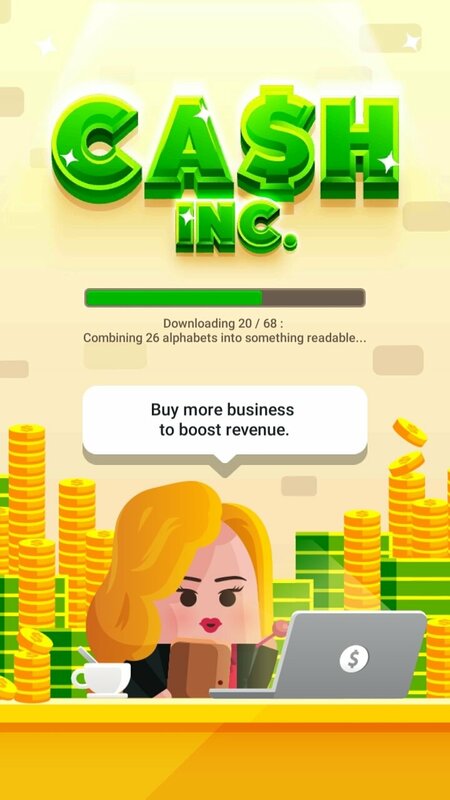 Cash, Inc. 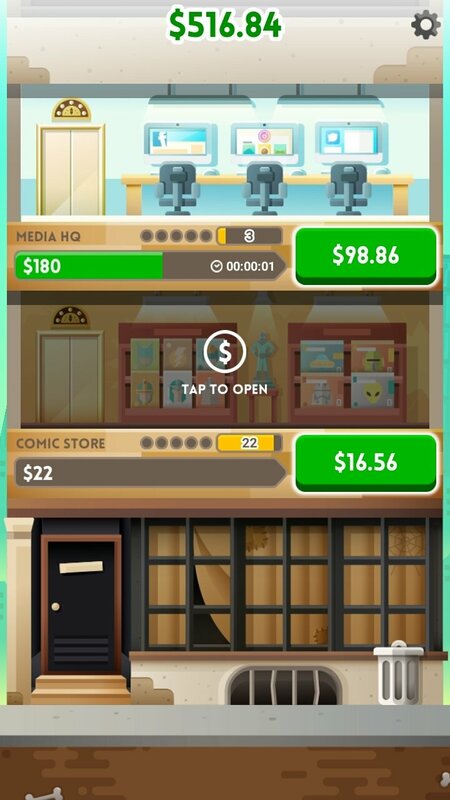 Fame & Fortune Game for Android exploits this genre to turn you into an important business tycoon. Your target is to become rich, famous, and renowned as a businessman. And just because you're not any old Trump that has received everything done for him, here you'll have to work hard from the bottom of the ranks. 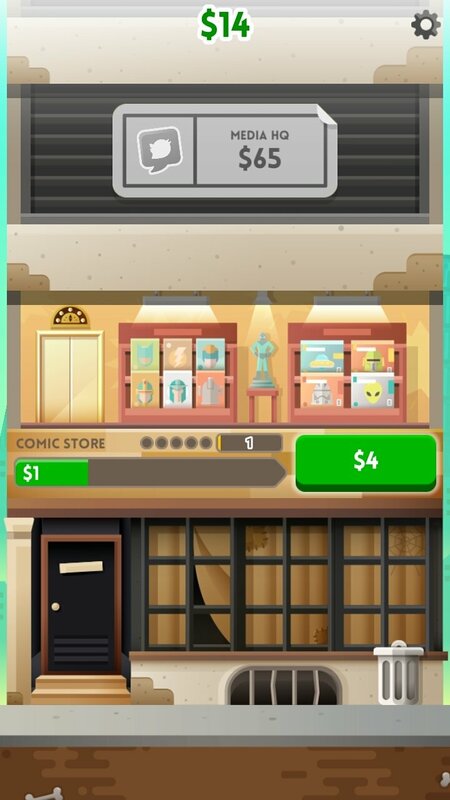 That's why you'll start off on the first floor of a building, managing your own comic shop. Build a business empire starting off from scratch. 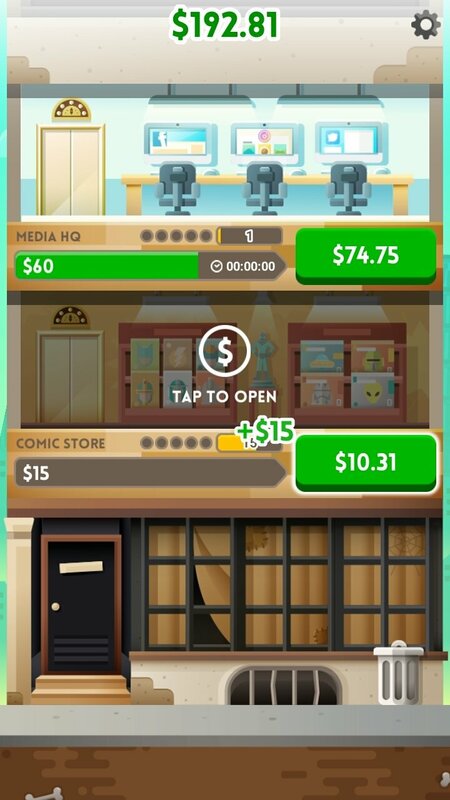 Your first business will provide you with some humble earnings but if you work hard enough (in other words, if you tap around the screen like mad), you'll be able to generate enough profit to take on your next business project: your online marketing agency. 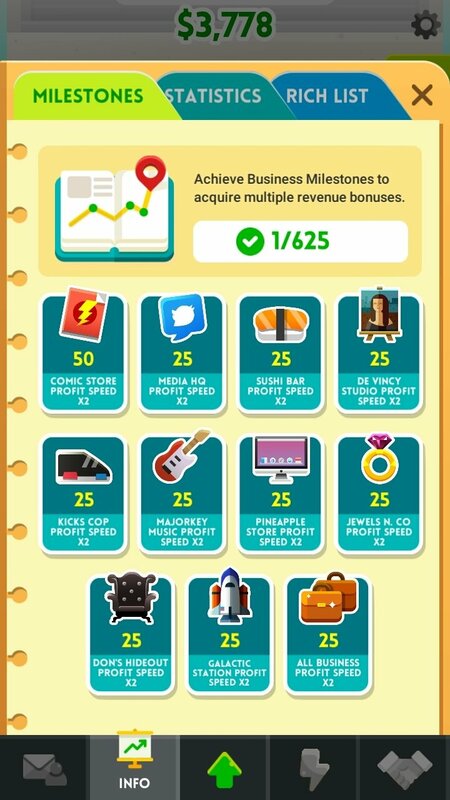 And so on in a game that will introduce you to the frenzy of creating and maintaining businesses by simply clicking and tapping all over the place. Create and manage profitable businesses starting off with your first cent to end up turning it into billions of dollars. Earn passive income and profits: don't move a finger and continue to earn money. Hire employees to help you to optimize the yield of your companies. 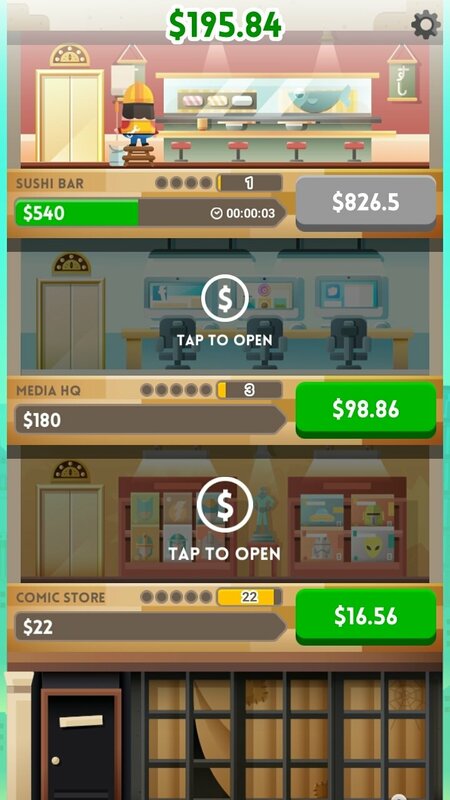 Improve the profitability of your businesses every time you tap your screen. It's a game full of jokes and touches of humor that takes the piss out of the tycoon that's made himself. 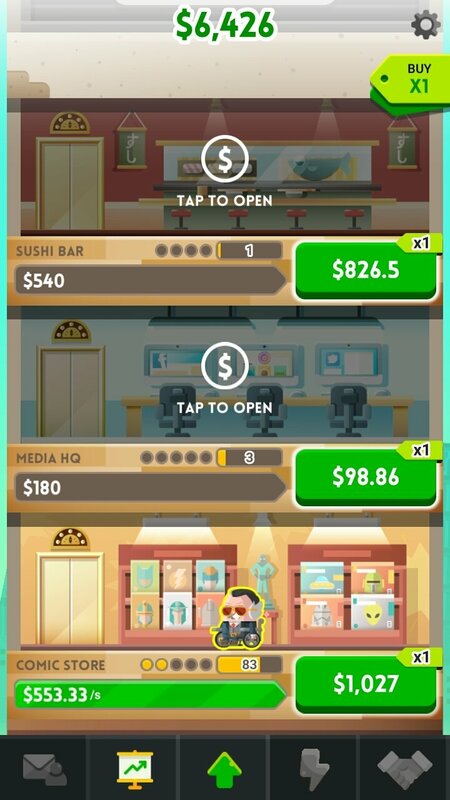 Become one of them by downloading the APK of Cash, Inc. to your Android. Carlos Slim, Bill Gates, Warren Buffet... what would they know.